We are so excited to announce our new location for the 2019 VSA Nebraska Retreat. For 2019 we have chosen to have our retreat at the world-renowned Lied Lodge(part of Arbor Day Farms, a National Historic Landmark and the home of Arbor Day) in Nebraska City where we will support the good work of tree planting, conservation, and stewardship around the globe. This retreat will also include optional tours of the new Silver Sky Imports warehouse with nearly 10,000 singing bowls and instruments. You can still attend and stay at a nearby hotel. Here are a couple nearby hotels. We have not stayed at either hotel so please do your own research before booking. We will also have a warehouse day for those who arrive early on the 23rd from 1:00 – 4:00 p.m. This warehouse day will be limited to 20 people. Sign ups will be required in advance. We will have another optional warehouse this day from 12:00 noon to 5:00 p.m. and will serve lunch and snacks at the warehouse this day as well. This warehouse day is limited to 30 people. Sign ups will be required in advance. You may come late or leave early if you wish. However there will be no partial refunds. No day passes are available. *Sold Out $950* per person Single room onsite at Lied Lodge, includes all retreat activities and meals. To reserve your spot you must put down a $100 deposit. Balance must be paid by June 15, 2019 for regular pricing. All payments are refundable before June 15, 2019. After June 15, 2019 there will be no refunds of any payments or deposits. There are no exceptions. All VSA graduates may attend. The conference itself is not open to those outside the VSA, except for 1 partner or friend. Every attendee may invite someone but they must stay at the conference center and pay the normal rates for the retreat. If you have a partner who does not want to attend the retreat but wants to come to Nebraska, you must both stay offsite if staying together. Only those participating in the retreat may stay onsite. Everything during the retreat is included except for your transportation to and from the retreat center. Included in the price is lodging for single or double occupancy, all meals, speakers, transportation to the singing bowl warehouse on day 2 and day 3 (you will be responsible for your own transportation if going to the warehouse on day 1 or day 4), and all activities during the retreat. 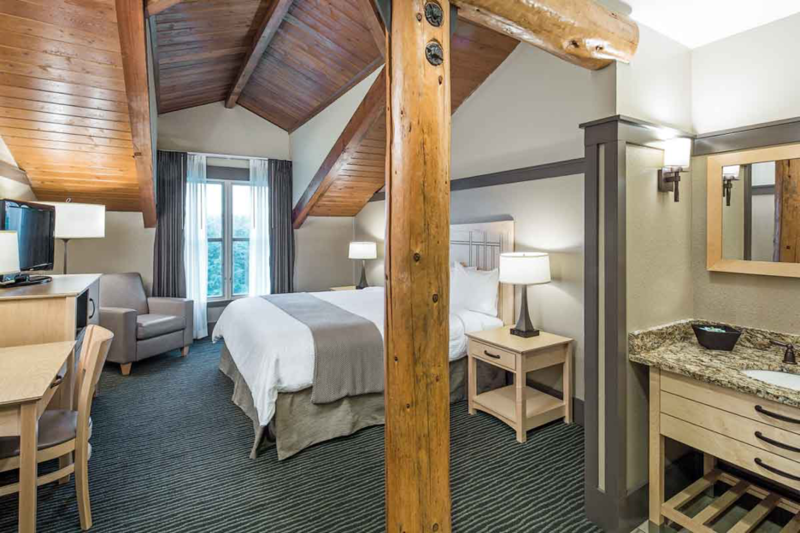 Rooms at the Lied Lodge include luxurious bedding, soothing nature-inspired décor, and scenic views, as well as an ensuite bathroom, coffee maker, mini fridge. 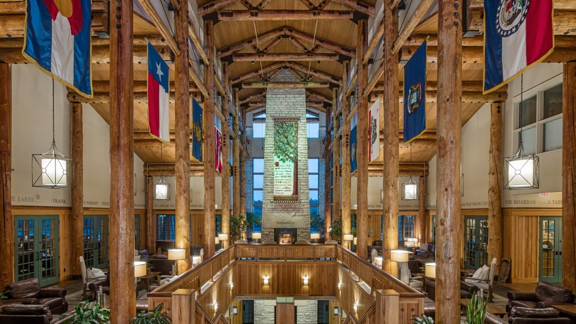 Rustic touches of Douglas fir timbers and cedar-lined ceilings create a nature-inspired feel. Your room will offer stunning views of either the nine-acre hazelnut orchard or the front arboretum. *Please inform us if you have any food allergies or dietary restrictions so that we may inform the chef for you. Air Travel and transportation to the retreat is not included. Nebraska City is located southeast of Lincoln and directly south of Omaha. The Lied Lodge is about 47 miles from the Omaha airport (OMA) and about 54 miles from the Lincoln airport (LNK). There is a shuttle service you can take from the airports. You must reserve this service ahead of time before your arrival date directly with OmaLink. Please have your flight information handy as they will require this information in order to book your shuttle. Uber and Lyft are both also available in Nebraska. Click the button below to add the VSA Nebraska Annual Retreat September 23-26 2019 to your wish list.